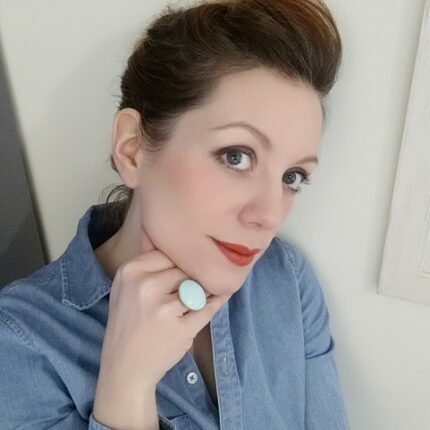 “My name is Amandine and I am a hand crafted jewellery maker. I’m French and I settled down in Edinburgh with my family in 2015 out of a desire to change lifestyle and start afresh. 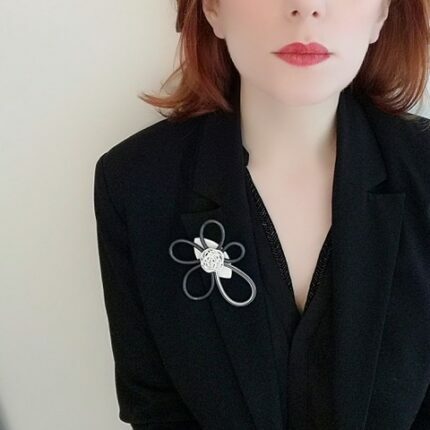 Having taught English in France for a decade, I moved to Scotland with the project to change career and to turn my longlasting appetite for arts and crafts into a full-time job. 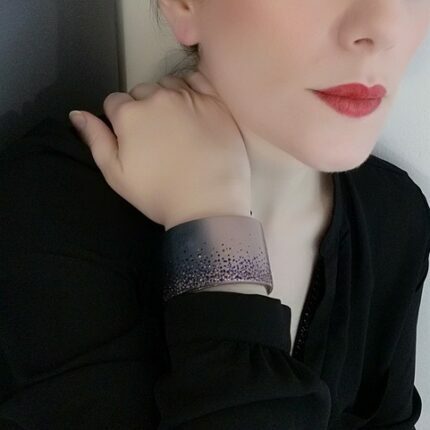 Things went slowly as I put family and babies first for a while but here I am now, making my own jewellery and enjoying it intensely! What I create emerges from my personal fondness for what is unusual, creative, colourful and elegant. 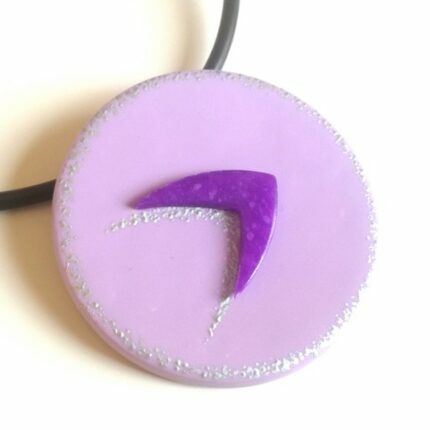 Based in my home studio, I make jewellery and accessories out of polymer clay combining my love of colours with an inclination for gentle curved shapes. I have always been very much attracted to the topics of volumes, proportions and balance and I like to think ‘Beauty’ does not rhyme with ‘symmetry’, especially when it comes to the human body. Therefore, I have wished to create my very own jewellery range in order to express my vision of femininity and to allow women to enhance their natural charm with unique stylish pieces. 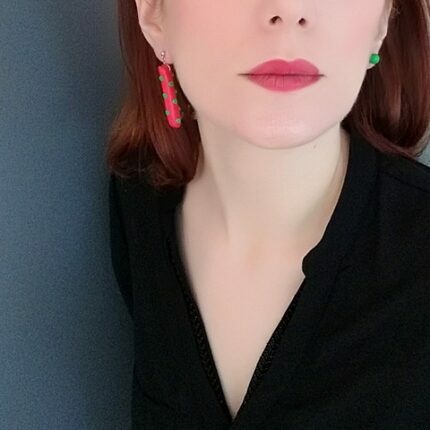 I discovered polymer clay only three years ago and I am entirely self-taught in that medium. 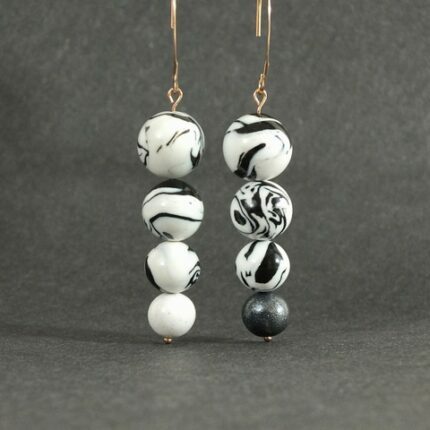 I love working polymer clay, firstly because it is soft and malleable but also for the endless possibilities it allows, making it the perfect ally to my creativity. I worked polymer clay only for some time before I started adding acrylic painted designs on the clay, and given how enjoyable it has been, several other mixed media projects have emerged, only a matter of time before they become real! I have also had this fundamental requirement from the very beginning to make quality jewellery, so, not only do I pay particular attention to the finishing phases of my polymer clay work, but I have also chosen to work with quality materials to help set the pieces, such as sterling silver and gold filled ear fittings, leather cords or stainless steel magnetic clasps. Amandine is happy to accept commissions should you wish particular colour combinations – please contact her through her website to discuss.